Advertise your business or product on other websites and reach a wider audience. 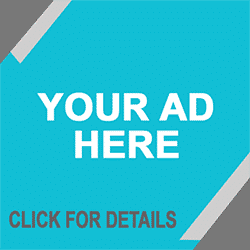 Advertise banners on your website with non competing businesses and earn money per impression. Become a sales rep and receive a monthly commission for each active banner ad. Banner ads are intended to generate traffic to a website by linking to it. Also, web banners can function as regular, print advertisements: inform, notify about a new product, increase brand awareness and so on. With Blu Ads, your ads are on multiple websites at once. That’s right, you are not just advertising on one website but reaching your customers and clients on numerous websites and that number is still climbing! So, why use banner advertising? Brand awareness – you can grow your brand awareness using banner ads so people can easily recognize your product or service. Brands like IBM, Apple, Target or Nike use banner ads to grow their business. Lead generator – it’s a great way to build your users base. If you are as SaaS you can use banner ads to get more users sign up and try your product/service. Retarget your audience – if somebody came on your website but didn’t sign up on your newsletter or didn’t try out your product you can retarget them with banner ads. Generally, banner ads are placed in high traffic websites that offer interesting or useful content. Can I put ads on my own website? Yes! Current website payment amount is $0.04 per one thousand impressions. Impressions are shown per website page view where a banner is displayed with active ads. An average website might receive 100,000 page views per month. Example: If your website runs one header banner and one side banner per page and loading a maximum of 5 images per banner that would be 10 impressions per page view. So for 100,000 website page views a month you could be earning up to $40 per month. Do you allow competing ads? We allow competing businesses, however, we will not allow competing ads on your personal website. We do require a monthly contract to be signed but we do not require long term commitments. How to create banner for advertising? Easy! You don’t have to be a professional designer to design a banner ad. We can help! Contact design@blu3mg.com about designing your ad. Use readable fonts – You want the user to understand what you want to offer and what he can get if he will click your banner ad. Use high quality photos – A very low quality photos and images used in a banner ad can create mistrust between the brand and the user. Use your brand colors – If you want to create professional banner ads and you want people to recognize your brand on the internet I recommend you to stay close to your brand color. Don’t overcrowd your banner ad – The simpler the banner ad is the easier you can communicate the right message to your audience. Yes we are! We are looking for sales reps in all regions. This is a commision based position. Contact (573) 612-1402 or email design@blu3mg.com for more information!